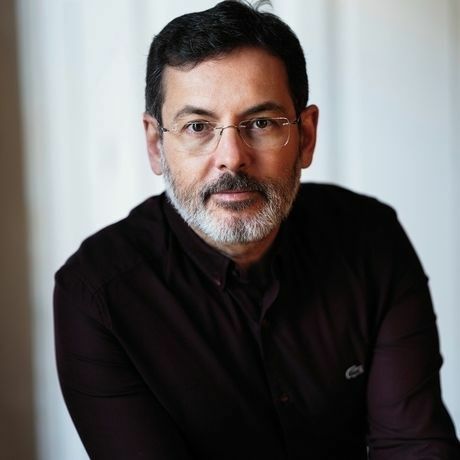 Murat Gülsoy (born 1967) started his literary career as a publisher and a writer of the bimonthly magazine Hayalet Gemi (Ghost Ship) in 1992. His works explore the metafictional potentials of self-consciousness with ‘page turning’ plots. He also produced interactive hypertext works on internet exploring new ways of narrative. Gülsoy has published 11 books in Turkey so far. Besides short stories, he has three novels addressing modern masters Kafka, Borges, Eco, Stern, Fowles and Orhan Pamuk. He is the recipient of most prestigious national literary awards. Being a writer, he also works as an engineer for biomedical science, as a psychologist, as a teacher for creative writing. He is the chairperson of the editorial board of Bogazici University Press. Stehlen Sie dieses Buch is the first book to be translated into German (Literaturca Verlag). His last novel, ‘A Week of Kindness in Istanbul’ has been translated to Chinese, Macedonian, Romanian, and Bulgarian.